Jack Duane Blunt, 83, of Fort Dodge, IA, died Saturday, February 2, 2019, at Friendship Haven. Funeral services will be at 11:00 AM on Wednesday, February 6, 2019, at the Historic Bruce Funeral Home, 923 1st Avenue South, with Rev. John Elkin officiating. Visitation will be from 4:00 PM – 6:00 PM on Tuesday, February 5, 2019, at the funeral home. Interment will take place at North Lawn Cemetery – Fort Dodge. Memorials may be directed to the family. Jack was born September 4, 1935, in Fort Dodge, the son of Virgil and Minnie (Johnson) Blunt. He attended Fort Dodge Senior High. On February 26, 1953, Jack was united in marriage to Patricia L. White at the First Christian Church in Fort Dodge. 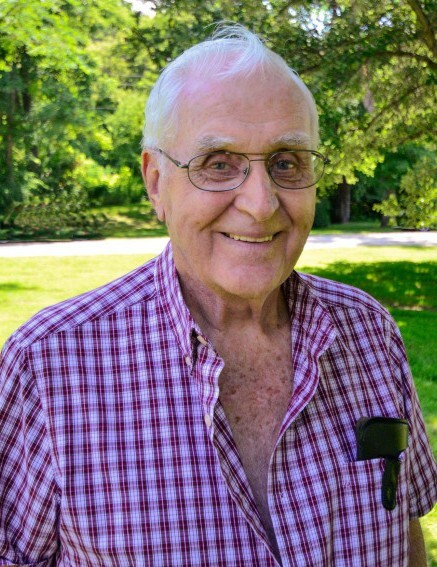 Jack worked as a switchman for the Railroad for 41 years until his retirement in 1995. Jack enjoyed spending time with his family. He also enjoyed wood working, model railroading, bowling and wintering in Arizona. He was a member of the Fort Dodge Lions Club and the Union Pacific Employees Club. Jack is survived by his wife of almost 66 years: Patricia Blunt of Fort Dodge; 4 children: Susan Sylvester and husband Craig of Hedrick, IA, Pamela Steffens and husband Ray of West Union, IA, Steven Blunt and wife Deb of Arvada, CO and David Blunt and wife Tina of Fort Dodge; 9 grandchildren; 18 great grandchildren; and a sister: Virgie Fey and husband John of Humboldt, IA. He was preceded in death by his parents; 9 siblings: Delbert Blunt, Vernon Blunt, Robert Blunt, Fred Blunt, Doris Gast, Ella Mae Nelson, Ilene Rink, Barbara Kutz and Sharon Hendrickson.